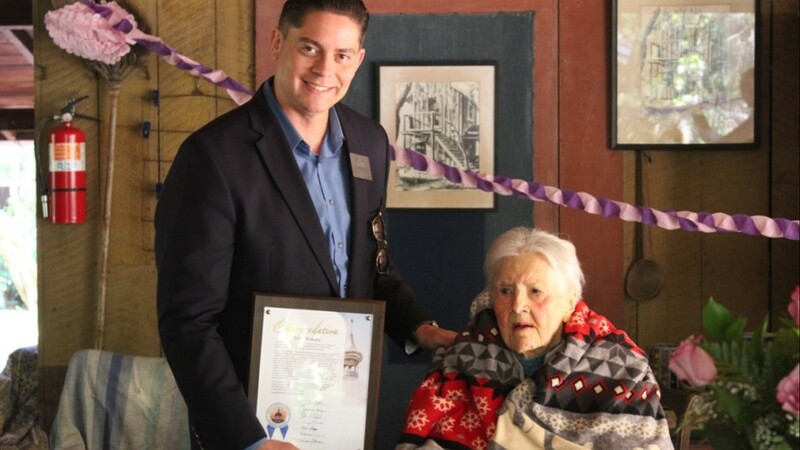 County commissioners signed a proclamation in her honor for her commitment to keeping history alive. 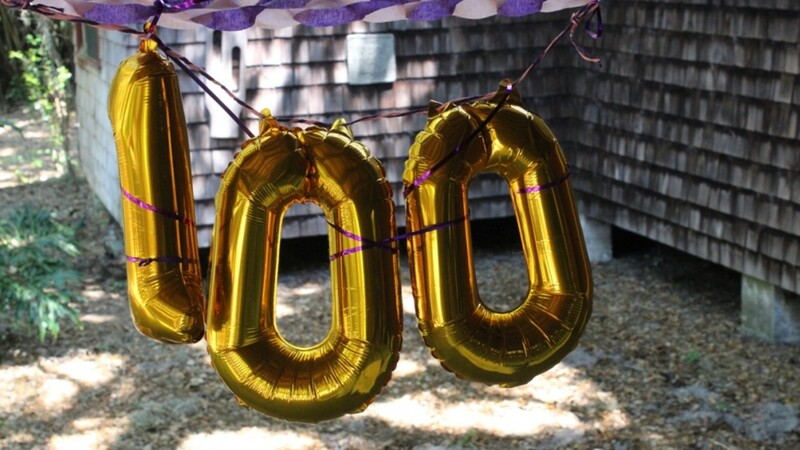 BRANDON, Fla. — Exactly 100 years after being born at her family's home, one Brandon woman celebrated an extra special day in the same spot. 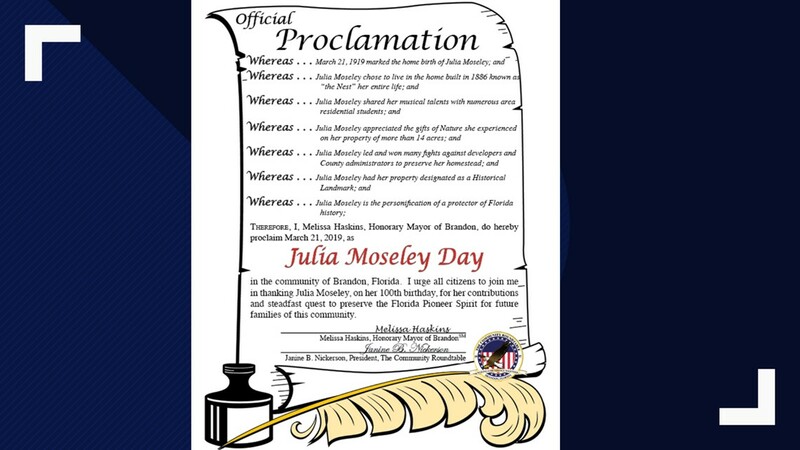 Not only was it Julia Moseley's birthday, the city commissioners also signed a commendation to declare it her special day. 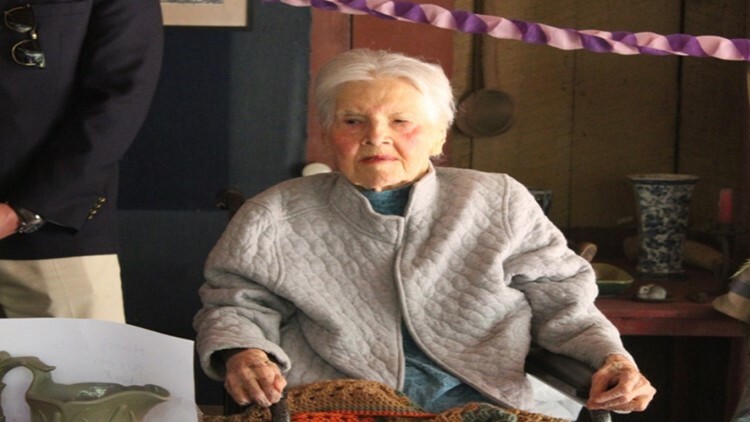 Julia was born in 1919 on the 14-acre lot now fondly nicknamed the "the Nest." 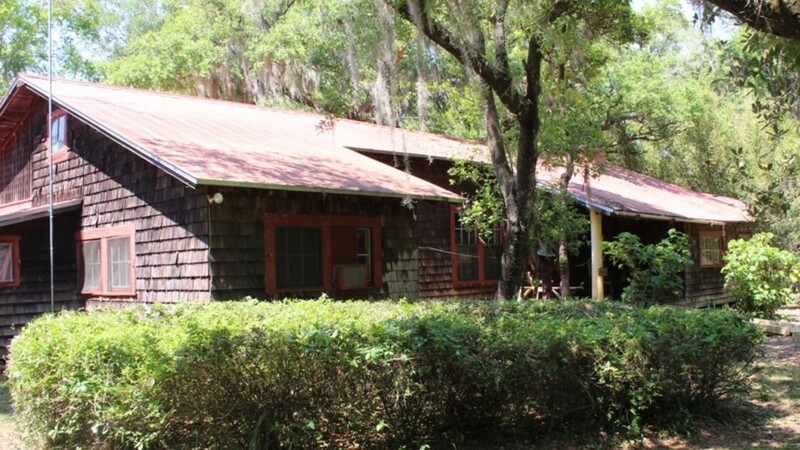 "Walking on the property, one immediately notices the serenity of Florida's past," Janine B. Nickerson, president of the Community Roundtable said in a statement to 10News. The Community Roundtable is a local nonprofit that helps with charities and events. 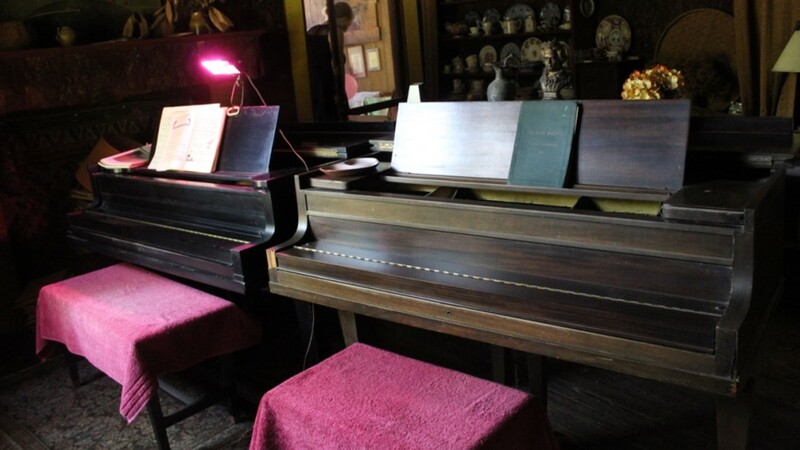 It's the same home where Julia has taught piano to many Brandon area students. And most people agree, she's done a great job maintaining its history. "She challenged all commercial ventures to ensure the area would remain a peaceful treat," Nickerson added. 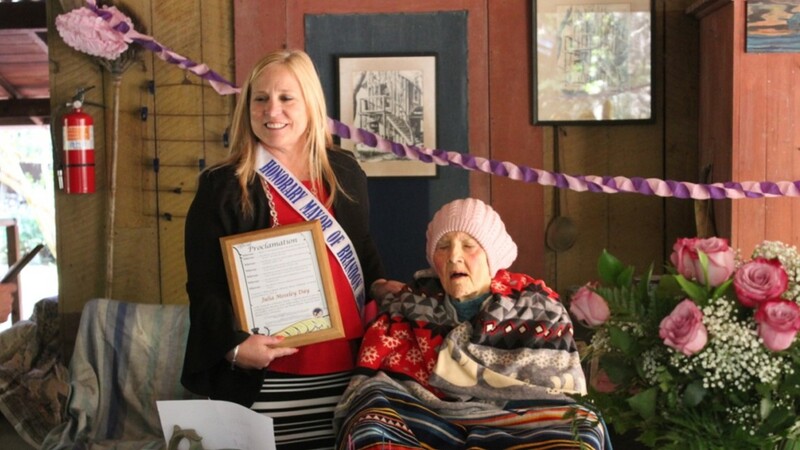 To celebrate her birthday and officially declare it her special day, the honorary mayor of Brandon, Melissa Haskins, read the proclamation signed by commissioners to her. And, of course, there were chocolate muffins. She preferred the muffins over a birthday cake, Nickerson added. Many guests came to help celebrate her birthday and the special milestone in her life, singing happy birthday and giving her personal messages. Julia didn't seem quite ready for the party to be over as she said to her caregiver, "My, that was short!" Keep on enjoying and living life, Julia!